The 2nd annual Midland Democrat Soapbox competition and spring fundraiser. Come meet with local progressives over beer, wine, soft drinks and snacks. Play party games and, should the spirit move you, get up on the old Soap Box and VENT OR celebrate our 2018 successes! Prizes for the angriest rant, the funniest rant and the person we would most like to run for office. 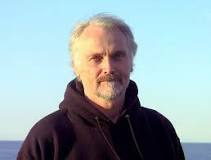 In March, Peter Sinclair, an environmental activist, global explorer and founder of the Midland-based Wind101 and ClimateCrocks.com will be our featured guest speaker. A world-renowned videographer, Sinclair specializes in issues of climate change and renewable energy solutions. His rich multi-media presentations and diverse knowledge of pressing environmental issues worldwide make him a popular speaker at schools, colleges, universities and community groups throughout Michigan. The meeting is FREE and open to the general public. Bring your questions, comments, climate concerns, new ideas and a friend or two! To receive a copy of the agenda for an upcoming meeting or learn more information about other upcoming community events, sign up for our newsletter.